A clean room is a room where the concentration of particles is controlled. Temperature, humidity and pressure parameters are also checked. Operators use particular clothes: foot booties, coat, hairnet and gloves. Clean rooms are used for the industry or research fields, which are sensible domains to environmental contamination (biology, construction of spacecraft, optical manufacturing or micromechanics …). 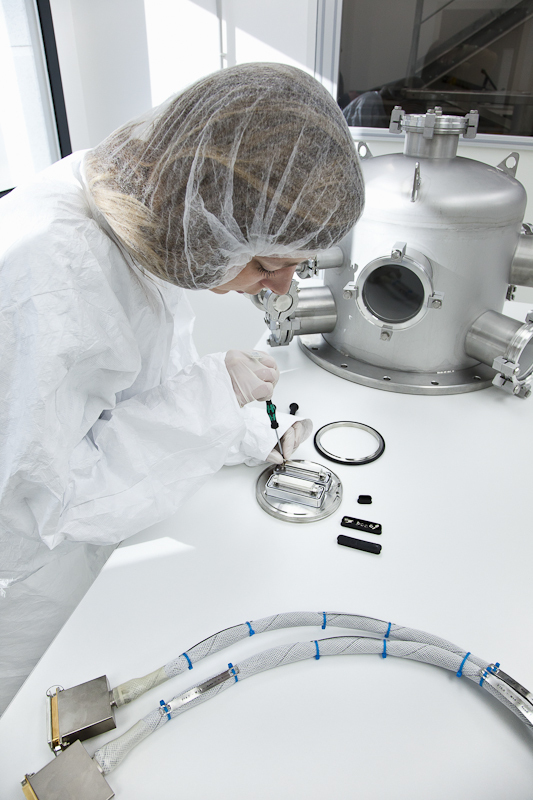 To cope with rising demands for synchrotrons, optics and space applications, an ISO 7 (class 10 000) clean room has been installed to minimize the presence of particles such as dust to enable the integration of “clean” and vacuum compatible hexapods.